We are completely submerged in winter and often around this time of year we get symptomatic; that which is indicative and suggests how this time of year can effect our spirit. It isn’t always easy to say, ‘isn’t the snow beautiful, doesn’t it look lovely’, especially when you are driving in it with a death grip on the steering wheel and you can’t see which way the road is going. 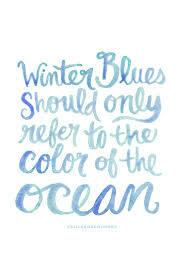 Our Winter season here where we live, has it’s ups and downs. We lack because of very little sunshine, shiver and shake in the cold and frigid temperatures, our skin gets itchy and our fingers crack with the constant dryness, so what’s to love about winter? Especially after all the hype from first magical snow fall is over, and the mysticism wears off. It isn’t long before reality soon checks in, and we begin to remember how long this season really feels and lasts. Winter has its benefits though and for those of you who love to down hill ski, Buddha love you, that has never been a sport that I was brave enough to try, you’re the best. For me it’s riding my Fat Bike. I truly believe it is so essential to get outside. Sensitive people need the outdoors, we crave to be outside, but when it’s cold and dreary logic tells us to stay inside where it is warm and cozy. Remember the old days when we loved to make snowmen and caves in the snow banks? Why do we have to give that up when we grow up, it doesn’t seem fair! Maybe what I would love to suggest is, if you have an extra carrot in your fridge this weekend, get out in that white stuff and show off to your neighbours your creative talents. If snow doesn’t happen where you live, have a look in your closest for one of your old outdated winter hats, bundle up get outside and make a few people smile. Where ever you are in the world, you chose to be there. Right now where you are is exactly where your Soul chose to experience life. You can decide to experience it, or you can sit on the couch and curse the snow and the cold, it’s your choice! I sure hope you put your coat on and your crazy old hat, or buckle up your ski boots and get out. I’m going to hop on my Fat bike and go for a ride. Sending love to you today, please, have a smile on me, Spring is just around the corner (if you choose to look at it that way).